The Redondo Dining Table with Glass Top by Moe's Home Collection is an elegant choice for enjoying home-cooked meals. This dining table is compact but generous, with room to accommodate your family and friends. 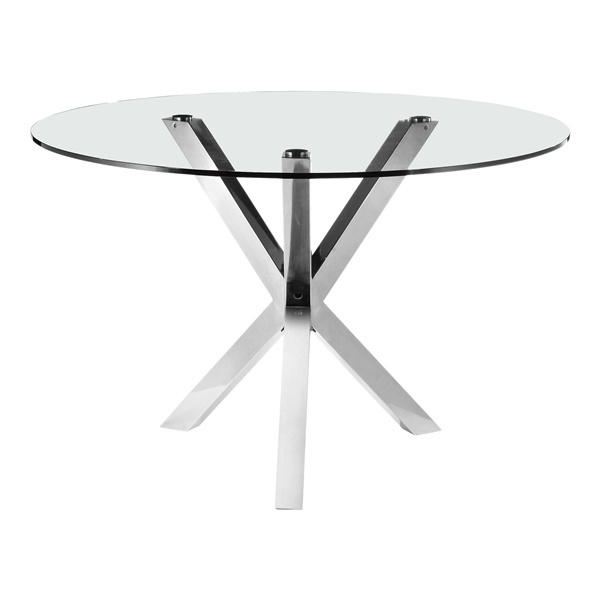 The polished stainless steel legs have a geometric, criss-crossed design while the round, tempered glass tabletop provides a transparent surface that makes any room look larger. Sturdily crafted from durable materials, Moe's Redondo Dining Table with Glass Top is ideal for entertaining and everyday use.